Usually Wednesday is our errand day. We take care of any clothes, groceries, miscellaneous shopping, but my husband got this Tuesday off of work and with the crazy scheduling from here all through April, we decided to do it a day early. Adulting 101 is getting it done ASAP instead of procrastinating like the lazy ogre that we all wish we could be. We also got some chocolate milk to bribe the youngest of our kids into pooping in the potty. It worked with the others, so fingers crossed! Knowing my luck, he’ll be more interested in snagging some spicy chips (something we didn’t get because we would go ham on a bag of spicy chips; it wouldn’t last more than a couple hours)! I ended up getting wine and a super delicious but unhealthy pot pie as a reward for finishing a 10k word day hopefully this week – fingers crossed on that one. After we checked all of our items, paid, and made our way towards the exit, a lovely woman caught my eye. She was wearing this bright as sunshine dress with gold strappy sandals. The whole outfit reminded me of my mission to make this year center around my journey towards becoming a goddess. A savage goddess, but a goddess nonetheless. I watched as she passed me, having the grace and style to match. She carried herself with an air of freedom that I’ve never had about myself. I’ve always wanted to wear pretty things, but I’ve always felt lumpy and awkward, almost like my only style is workout clothes. I mean, looking in the mirror, I don’t always like what I see, especially today. My hair is a dishwater mix of blonde and brown that is far too thick for my head, my skin is blotchy and currently breaking out in little bumps all over the place, and no matter how much I try to lose belly and arm fat – it’s just so stubborn. And right at that moment, with all of the elegance of a gassy sea lion, I belched. “Well, maybe a little less of that.” My husband said before bursting into laughter over my unexpected faux pas. It got me thinking… what makes that woman different? Or any of the people on Instagram I’m following? Or one of my best friends, who’s also struggling to lose the extra weight and feel comfortable in her skin. That best friend has a bunch of adorable dresses which she absolutely SLAYS in. I have dresses and yet I don’t wear them nearly enough – and summer is coming rapidly. I don’t want to wait to lose X amount of pounds to feel cute in my clothes. 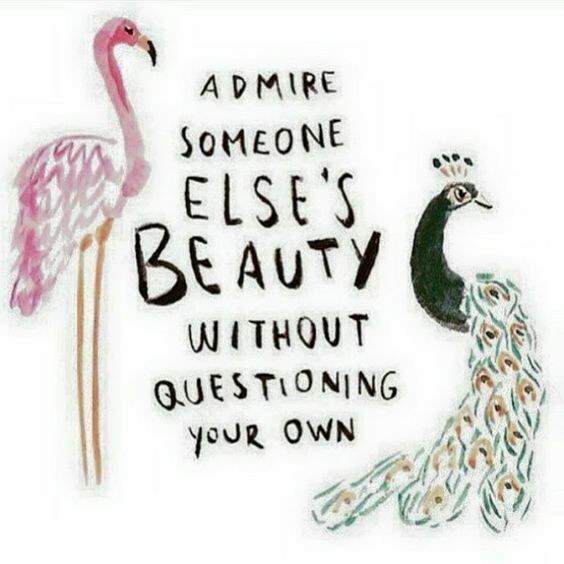 Why should anyone have to wait for a specific size to feel good and complete in their own skin? My goal: Stop dressing down, and start gettin’ comfortable with showing my inner goddess off! Does that mean I’ll stop my weight loss journey? Heck no! But I’m not waiting around for that body either. Now, if you need a reminder: Look at yourself in the mirror. Even on your worst days, where you feel like a bridge troll, remind yourself that you are a Goddess with so much to offer this world, and you deserve to feel just as lovely as that gorgeous girl in the grocery store! But this season serves an even greater purpose – and no, I’m not talking about how it’s finally cool enough to run without the discomfort of external heat! 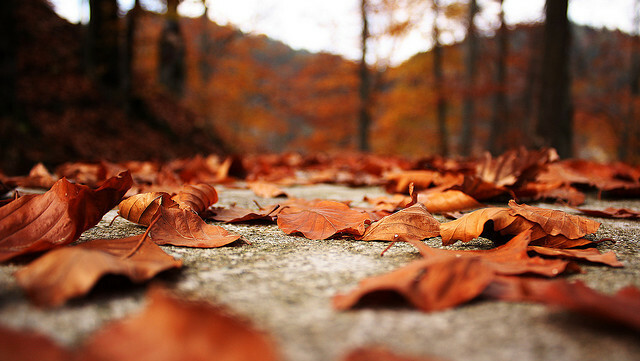 Fall serves as the perfect metaphor for self-improvement and moving on. The most obvious part of Fall is change. Leaves turn colors, the weather shifts from hot to cool, the nights get longer and the days shorter. Nature welcomes the change. What we can learn from nature and its constant shifts, is to embrace the changes. Maybe a relationship or friendship ended, you got fired, you found out a friend is moving away, or you have to move away. No one said change was easy, and if Fall could speak, I’m sure it’d say how brutal it can be. But sometimes you just need to ride it like a wave. Another thing Autumn teaches us is to let things go. Trees lose their leaves, but they do not wilt and die as a result of the loss. They regrow! I had a talk with my oldest son recently. He said he wished he could forget something mean he heard someone say. I told him, it’s important that you don’t forget, but you can forgive – just let go of the anger or hurt, and move on, focus on the good. Mean people are usually just mad at themselves and it has nothing to do with you or anyone they’re mean to. I don’t forget every vile thing someone has said to or about me, or the gossip another person tells me. But I’ve learned that these are not the people who will stick around in the long run. They aren’t going to serve as anything more than lessons on the human condition. Nature shifts so drastically in the seasons. Leaves change their color, they fall, and then the trees grow new leaves, sometimes even fruit! Without Autumn and Winter, we wouldn’t have Spring and Summer. Every season serves a purpose, which shows us that there are greater things to come. There are bigger and better things on the horizon, you just need to push through the hard times. This season, try to appreciate the little things. 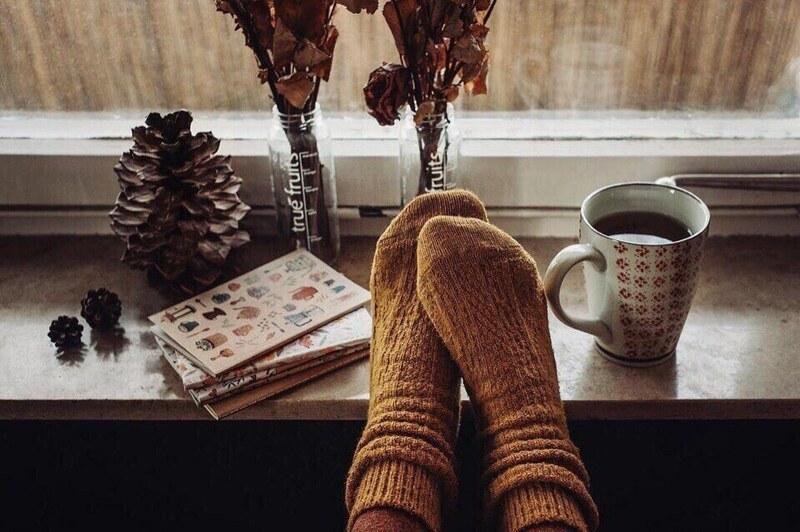 Treat yourself, take a moment to enjoy the smell of rain, make yourself a cup of steaming hot chocolate, snuggle up with a book or Netflix, spend a little longer in the decorations section than you normally would, sniff the hell out of those fall candles! We all have responsibilities, but make sure you’re taking care of yourself as the season changes. Don’t let anyone shame you or drag you down for enjoying life!